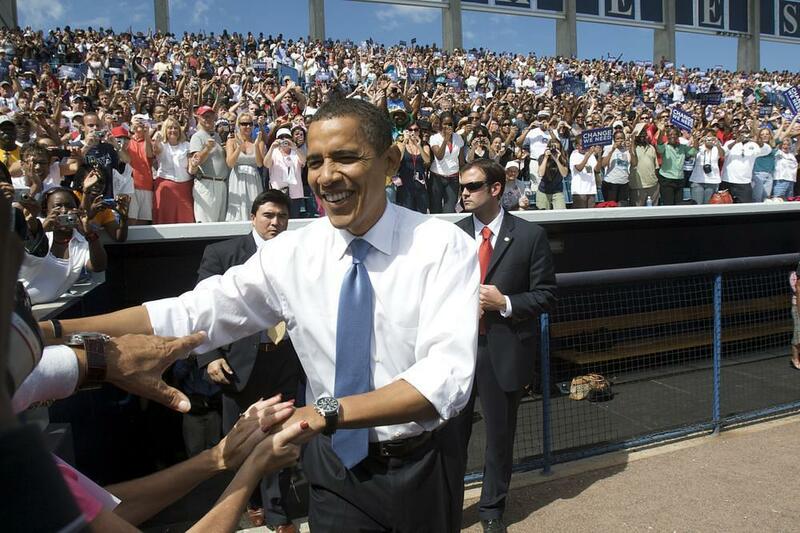 I went to the Tampa Obama Rally on 10-20-2008 at Legends George M. Steinbrenner field. I wanted to take some pictures, so I brought my long glass and a monopod. When the ticket folks saw me walking up, I was sent to the media table, and I was signed up as local media! So, I got to work in the press area of the event and shot the whole thing up-close and personal. Even got to shake “That One’s” hand!